I know, I know...it's almost the end of March but believe me I've been doing this religiously & I wanted to share it with all of you! I shopped my stash this month! Silly me, sorry...here goes - "Shopping your Stash" means trying to use up products that you already have...so that's exactly what I've been doing this month. 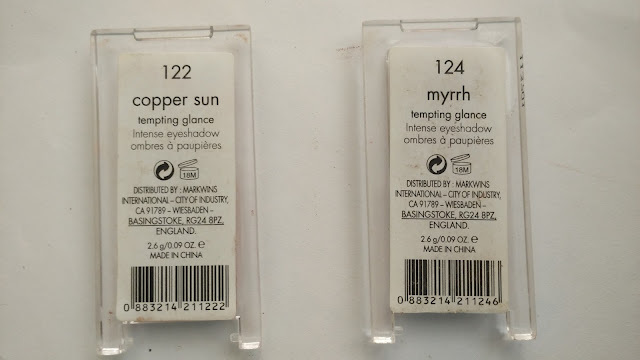 In March, I decided to bring out some of the products in my collection that I used to like a lot, but then got lost somewhere when a new product came along. 1. Bora Bora Quad by Be A Bombshell. This came as a part of my Fab Bag & as you can tell, I really, really liked the 'Brown' shade. 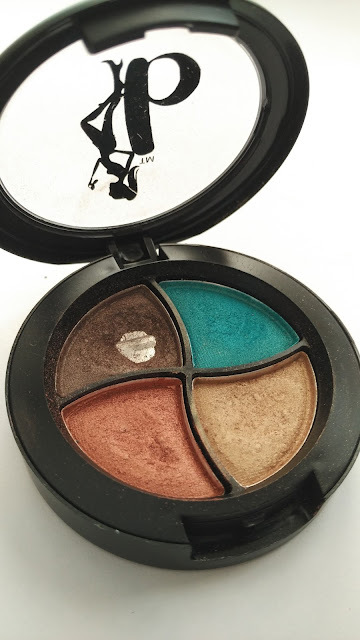 I have already hit pan on it ;-) but still have been using it most of March. You can read about the quad HERE. 2. 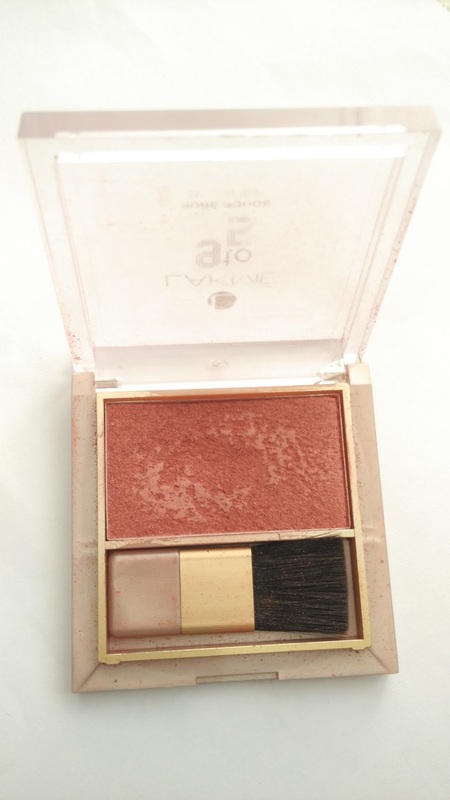 Lakme 9 to 5 Pure Rouge Blush in 'Peach Affair'. I had won this lil beauty in a YouTube giveaway & it's been a favourite since then. I have used it in my celebrity-inspired makeup look - HERE & in Party Makeup looks HERE and HERE. This one's been a regular all of March. 3. Colorbar Kiss-Proof Lipstain in 'Mauve Dusk'. I had reviewed this a while back - HERE The beautiful shade & its great lasting power has brought me back to this baby, this month. 4. 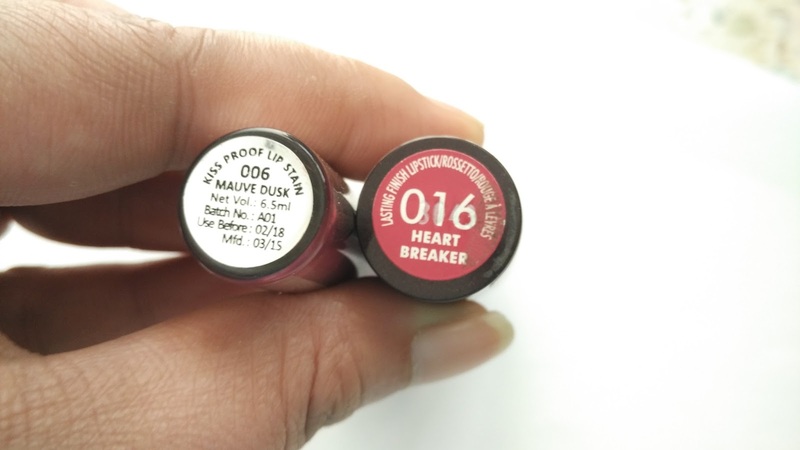 Rimmel London Lasting Finish Lipstick in 'Heart Breaker' - reviewed HERE I used to love this shade so much at one point in time. A great budget buy that's come back on my list for 'everyday-wear'. 5. Calvin Klein individual shadows in '112 Copper Sun' & '124 Myrrh'. These satin-finish, neutral eye shadows were passed on to me by my sis-in-law M, who is a big fan of makeup like me. She had got them as gifts in one of her online orders. Thank you M..!! How about you? 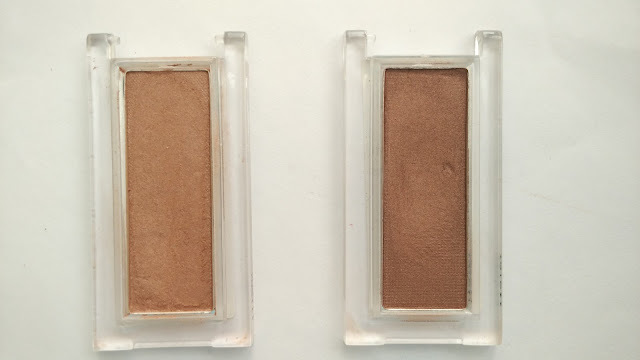 Is there any forgotten product that you've brought out recently? Or you'd like to? :-) Let me know in the comments section below. Until the next post, Ciao..!!! nice choices and something different from usual 'blogger favourites'. Liked the post. Love this post! Which reminds me that I must put to use the Lakme Peachy Affair I have as well. I would be doing my shop my stash soon!